Cricsale is an online cricket store providing of high quality cricket equipment and accessories globally. Increase in popularity of cricket in nations like USA, Canada and other European and Asian nations has motivated us to provide pro level cricket gear at low prices in the emerging markets. Our aim is to make cricket playing as convenient in the new market as it is in India, England and Australia. We have wide range of products making cricsale a “one shop for all cricket lovers”. 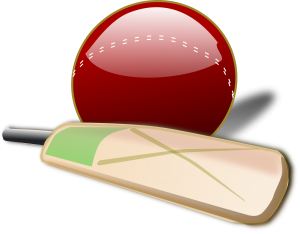 We provide cricket gear for both professional level players as well as passionate cricket players who are playing for fun. Our products include English and Kashmir willow bats, leather balls, stumps, kits, taped ball bats and we specialize in providing custom gear depending on customer requirements. Make your team look professional with a unique custom made jersey. Our product line includes custom jerseys made out of high quality fabric with your teams logo and a unique design. We provide both normal printing as well as high quality sublimation depending on your requirement. We have several different fabrics available including PMC, diagonal, dot net, honeycomb, softy etc. to match your requirements. All our products are high quality and go through intense quality check before delivery. If you don’t find what you are looking for then leave us a message at SALES@CRICSALE.com and and we will do our best to bring it to you in the shortest time possible. We believe in full customer satisfaction and our experienced team is always available if you need help selecting the right product for your cricket needs. We provide 30 day guarantee for most of our products and will take it back if shipped back to us within this time frame. However, cricket bats have different policy for returns since most manufacturers don’t back up the equipment. We will guarantee returns for any defective products if reported within 2 days of delivery. All our cricket gear is stored in cool dry place before being shipped to maintain quality of the product. Most cricket product providers keep their product in storage shelter under extreme heat which degrades the quality of cricket bats. CRICSALE is a PREMI VENTURES service.